Jackson Wetherbee drives the ball on the course. 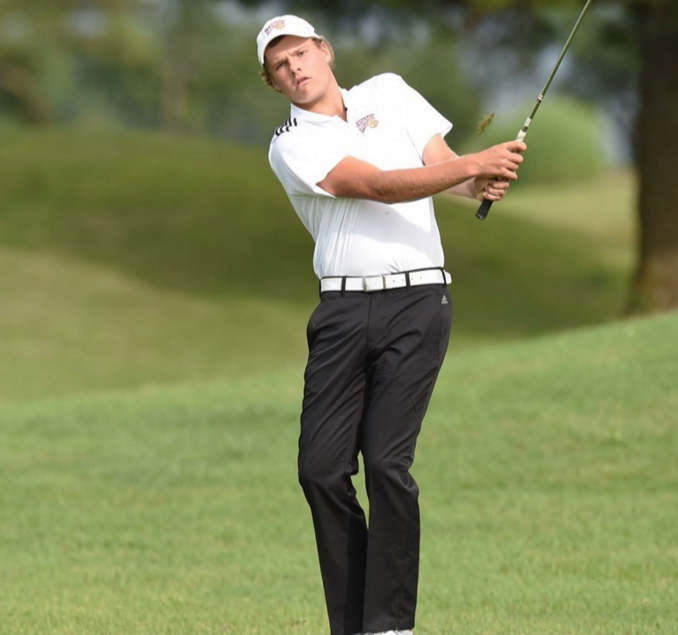 Sever weather and lightning seemed to hinder the Western men’s golf team that placed 13th overall out of 13 qualifying teams in the Fuzzy Zoller Invitational that took place this past weekend, hosted by the University of Indiana. However, there were plenty of bright spots for the Purple and Gold. Senior Jackson Wetherbee was the standout amongst the group in the invitational, as he shot his way to the third top-five finish, individually, of his career. Wetherbee came out firing on all cylinders in round two of the tournament, finishing with a 69 (-3), and the second lowest total for a single round in his time as a Leatherneck. Senior John Duggan III also impressed in last weekend’s action, posting the best overall score on the team outside of Wetherbee. 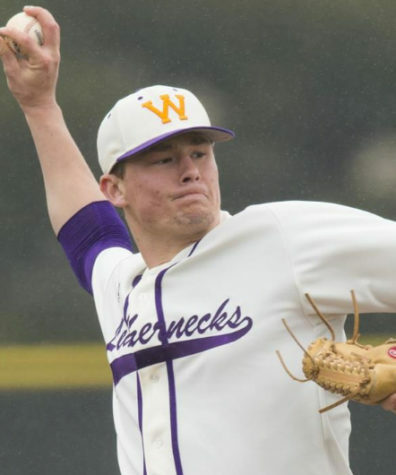 Other than seniors Wetherbee and Duggan III, Western went with juniors Kyle Irlbacker and Joe Burke and talented freshman Cameron Karney to make up their starting lineup. 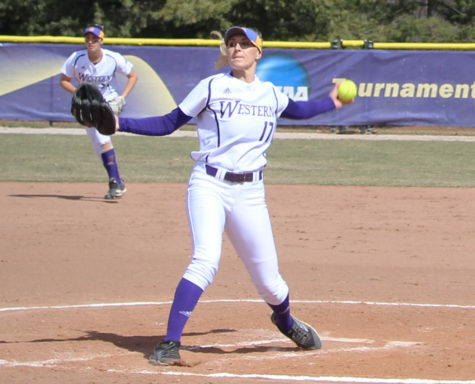 Through the first round on Saturday, Wetherbee and Karney were the top performers for Leathernecks. For Karney, this was his first go at collegiate golf, and he more than held his own through the opening parts of the contest. The rest of the team struggled to find its footing early in the event as Duggan III, Irlbacker and Joe Burke all turned in scores of 78 (+6) as the first round concluded. Extreme weather found its way to the course in Henryville, Ind., as golfers prepared themselves to tee off for the second round Saturday afternoon. Lightning and heavy thunderstorms forced the golfers to hit the showers early and prepare for the coming rounds on Sunday. For Duggan III, the rain delay showed to be exactly what he needed for him to clear his mind. As the second round began on Sunday, Duggan III was dialed in and began to show his true colors as an experienced veteran on this team. He bounced back from an underachieving first round to post scores of 75 (+3) and 74 (+2) in the final rounds. The team’s efforts were not enough in the end, as they finished dead last in their first action of the season. Western’s starting lineup was led by Wetherbee, who finished the contest with a score of 210, tying for fifth individually. Duggan III finished with a score of 227, placing second on the team. Karney (232), Burke (234), and Irlbacker (237) rounded out the Leatherneck’s starting lineup. They finished with a combined team score of 901. Southern Illinois took home the top prize from the Fuzzy Zoller Invitational, posting a score of 836 as a team, topping the second-place Indiana Hoosiers by 10 strokes. However, expectations for this season have not been held in-check, as the team fully expects to have a positive year. Before the invitational over the weekend, Director of Golf Lia Biehl Lukkarinen was fully aware of the team’s first action on the unfamiliar course. 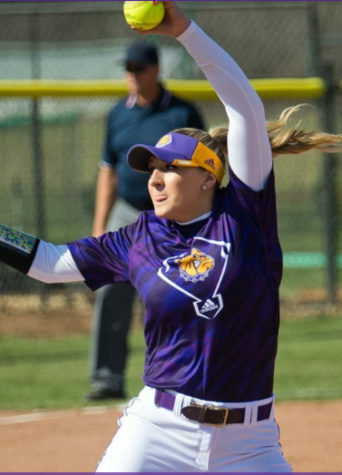 While the Leathernecks didn’t show out how they had planned in the team’s first real action of the season, there is still plenty of time for these golfers to showcase their skillsets. The team will look to right the ship when they head to the Crusader Collegiate this weekend in Chesterton, Ind.